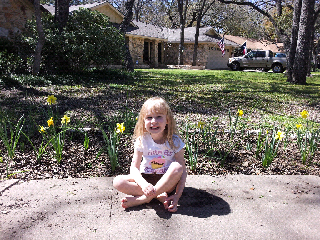 Alice sitting next to our flower garden. We were watering and picking weeds while we enjoyed the weather. She doesn't look dirty. Did she supervise?